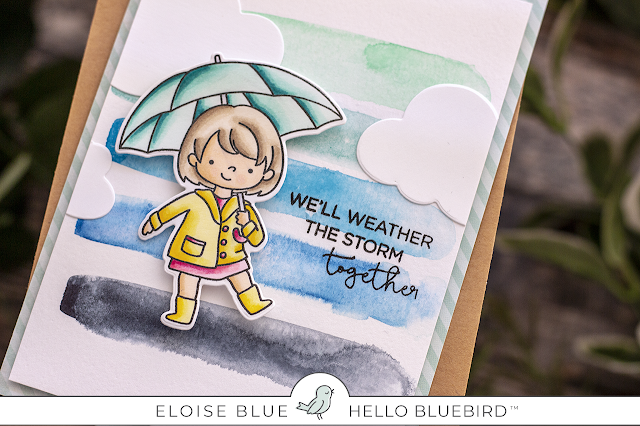 Hello friends, I'm here today to share a quick card using the Rainy Day stamp set from Hello Bluebird. 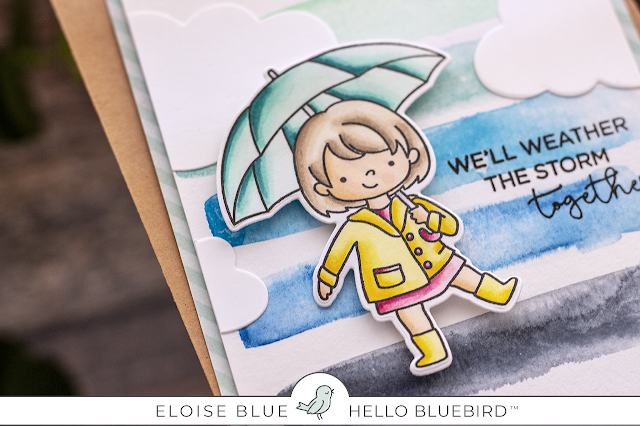 I started off with stamping out image from Rainy Day onto some white cardstock and coloured it in with Copic Markers. I then die cut it out using the coordinating dies. For the background, I took some watercolours and did a simple striped design using different shades of blues. I dried it off with a heat tool and adhered my coloured image on top. I then die cut some clouds from Rainbow Sky Dies and adhered them into place as well. 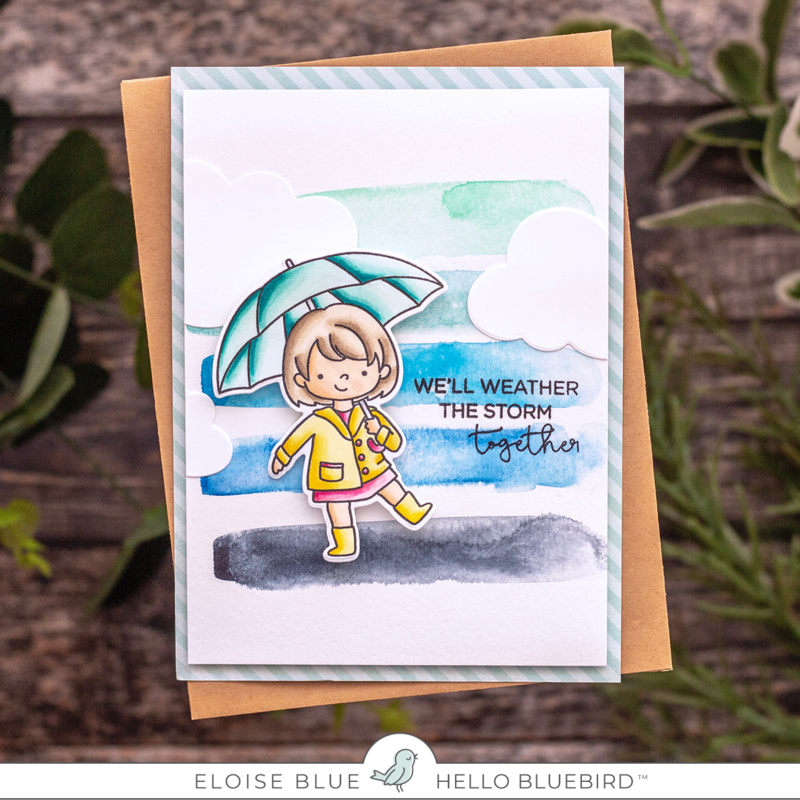 Lastly for the sentiment I stamped 'We'll Weather The Storm Together' on the right hand side with black ink. I then adhered my panel onto some aqua striped pattern paper and then onto a card base. That finished up my card for today, I hope you enjoyed. Be sure to check around next week for sneaks (on Instagram) of the brand new release for Easter/Spring releasing on 15th of Feb. You won't wanna miss it! Below is a sneaky peek of a few of the new images. I'm so excited! Oh so cute! 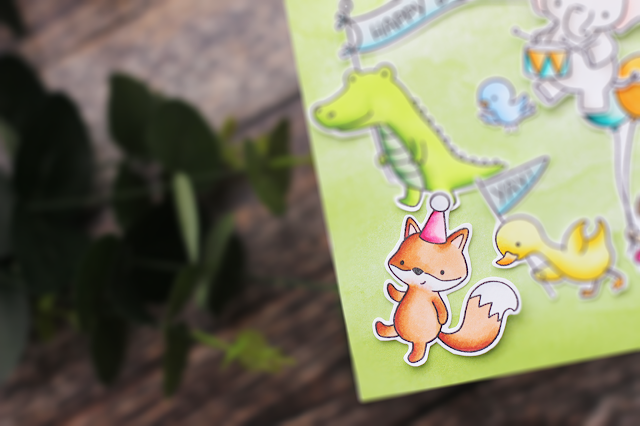 Love your fun card and the great swipes of color.